The closest and more convenient airport is the Henri Coanda – Otopeni, Bucharest. The New Travel Muntenia company facilitates the transfer from the airport to Pitesti and back. In order to plan your transfer, please contact Ms Adina Nita at adina.nita@munteniatravel.ro indicating that you participate in FISA-EURADWASTE Conferences, the details of your flight (day, time of arrival, flight number, time of departure) and also the hotel in Pitesti for your staying. by car. 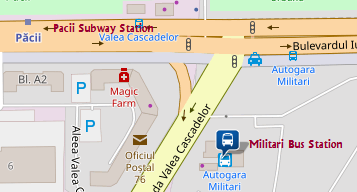 If you plan to travel by rental car, Pitesti is very accessible from Bucharest on A1 highway. For any other inquiries on transport, please contact Crina Bucur (Institute for Nuclear Research, Pitesti) at crina.bucur@nuclear.ro and she will assist you further.